When you want to play some role-playing games, sometimes you can't find someone to be the DM/GM. That can be a real pain. Thankfully, there are dungeon-crawl board games that are there to step in and pick up the slack, letting you get some good monster-slashing action without the need of someone to specifically be in charge of them all. 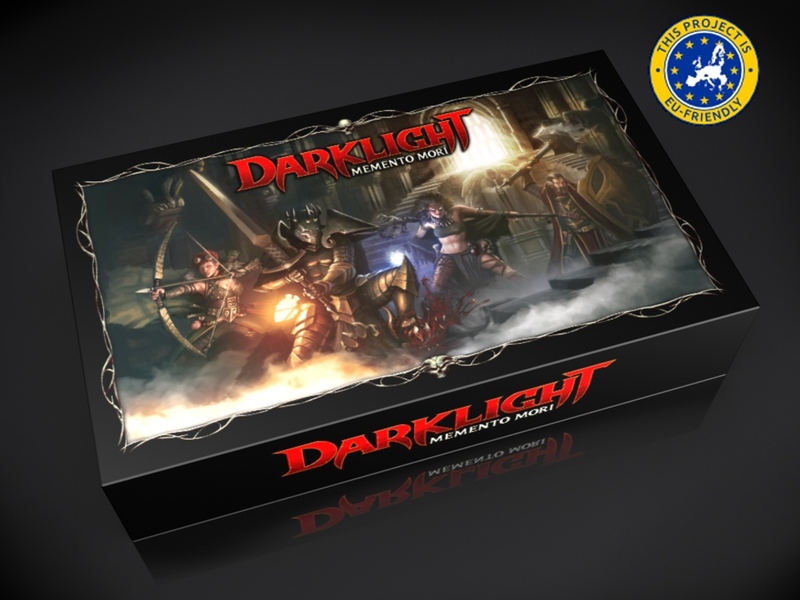 Well, Darklight: Memento Mori is just such a dungeon crawl board game and it's up on Kickstarter now looking for funding love. Saying that Darklight is a game is a bit of a misnomer. With all the options and adventures, it's more like hundreds of games. It's an entirely cooperative game with 36 unique quests you can play. The game's tiles are modular, letting you create all those different scenarios. You can create your own weapons. You can level your heroes. You can head back to town to resupply. It really is like a RPG but on a board. The Kickstarter campaign just launched and is has already made it to around 80% funded with still 28 days left to go.